Our primary goal at CMG is to provide cost effective advertising programs to local businesses which allows them to reach thousands of their potential customers in a clutter free environment. Our venues are locally based, reach captive audiences and fit into almost any businesses' marketing budget. More than 90% of all CMG advertisers renew their contracts with CMG, citing increased recognition and community awareness of their business as key benefits of our programs. 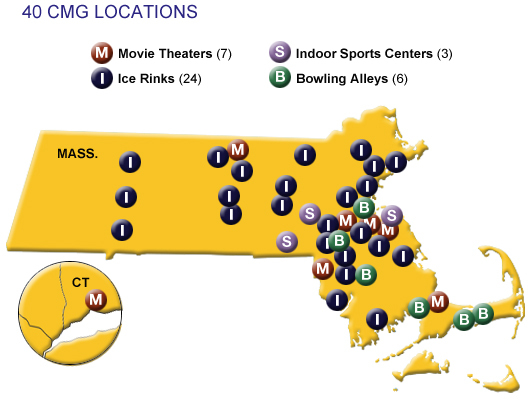 Contact CMG today to learn more about how our advertising venues can help your business prosper and grow.